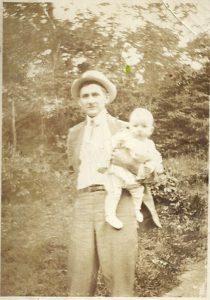 My father was born January 19, 1919, during the Spanish flu pandemic that claimed over 500,000 lives. A few days following his birth, my father, and his mother, contracted flu. Both were extremely ill, but survived. 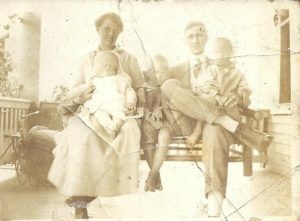 My grandmother had two children before daddy’s birth and six more children after. 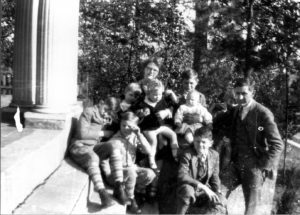 My grandfather, father, and his two older brothers would have had a much different life had my grandmother died from Spanish flu. 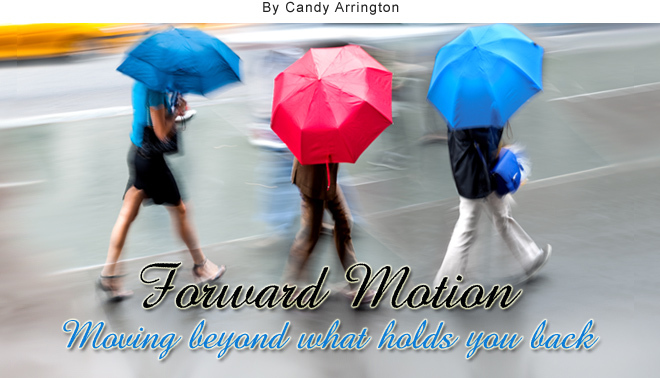 Dwelling on the past can paralyze forward motion, but, at times, looking back is a catalyst for moving ahead. My grandfather was a prosperous lumberman. 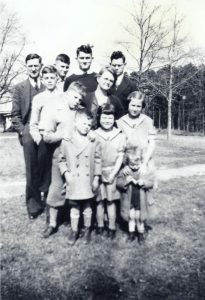 When my father was five years old, his family moved to Spartanburg, South Carolina from Greenville, some thirty miles away. The family lived in a large house on Greenville Highway on the west side of town, and my grandfather opened a lumber yard. But during the Great Depression, my grandfather lost his business and his big house. 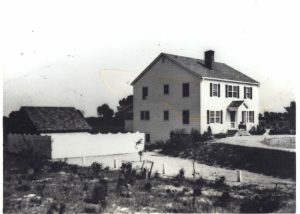 The family moved to a rental house in a rural area. My grandparents had a cow and a vegetable garden to feed their tribe, and not much else. Looking back reminds us our predecessors faced hardships. We see the methods and the mindset those before us adopted to overcome adversity, survive, and thrive. And looking back reminds us we are not the first, or only ones, to encounter difficult circumstances. 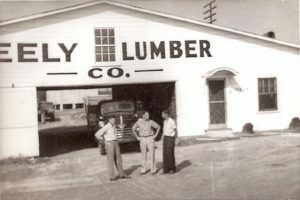 My grandfather was able to rebuild his lumber business and it continued several more generations. Today, it exists in a different configuration, but is still a family-owned business. Work ethic, perseverance, integrity, and faith all factored in. Often, knowing those before us have persevered through difficulties, and succeeded in rebuilding their lives, gives us hope and courage to move forward. 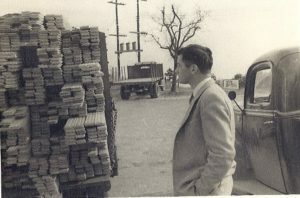 My father was a builder, which seems only logical given he grew up around a lumber yard. As a child, I often visited job sites with daddy. During those early years of my life, I learned the importance of a solid foundation, not only for a house or building, but also for life. I observed how my father spoke with respect to his workers and subcontractors. I saw his leadership in the church and community. I heard stories of his service to his country and others. I experienced love and encouragement. In his words and by his actions, I learned the importance of faith, family, love, service, honesty, and integrity. When my father received a terminal cancer diagnosis, I saw how his faith sustained him, and learned how to face death without fear. I continued to learn from my father even after his death. Numerous people told me how they had benefited from my father’s generosity over the years. He never spoke of these kindnesses in his lifetime. From his example, I realized a true act of service is not done for glory or accolades, but for the benefit of others. A true act of service is not done for accolades, but for the benefit of others. For some, looking back his hard. Not everyone has a positive heritage. But even if yours is littered with abuse, absence, addiction, anger, or disinterest, you can learn lessons in forward motion by looking back. You can determine to break negative patterns and establish new priorities. If it is within your power to bridge geographic or emotional distance, then do so. Your life is building a new structure, one that can include love and forgiveness and value relationships, with God and others. What you glean from the past will catapult you into the future. Make the most of lessons learned, cherishing the good and changing the not so good. At times, looking back is a catalyst for moving ahead.